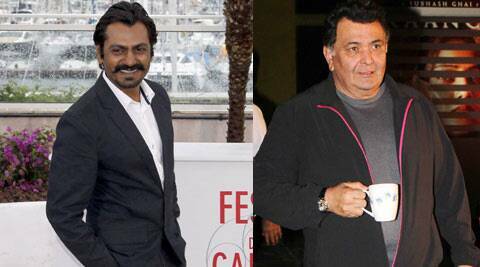 Nawazuddin says he never said anything about Rishi Kapoor. "It was a general observation on romantic scenes." The battle of words between Nawazuddin Siddiqui and Rishi Kapoor has finally ended with the former apologising to the senior actor for unintentionally having caused offence. “It was never my intention to criticise or to even speak about Rishi Kapoorji. He is a senior and an actor I’ve grown up watching. Back home where I grew up we had no cinema halls. I’d travel hundreds of kilometers to watch Rishiji in ‘Bobby, Khel Khel Mein’ and ‘Kabhi Kabhie’. He was, and remains one of my favourite actors,” said Nawazuddin.